How does your skin appear in this moment? 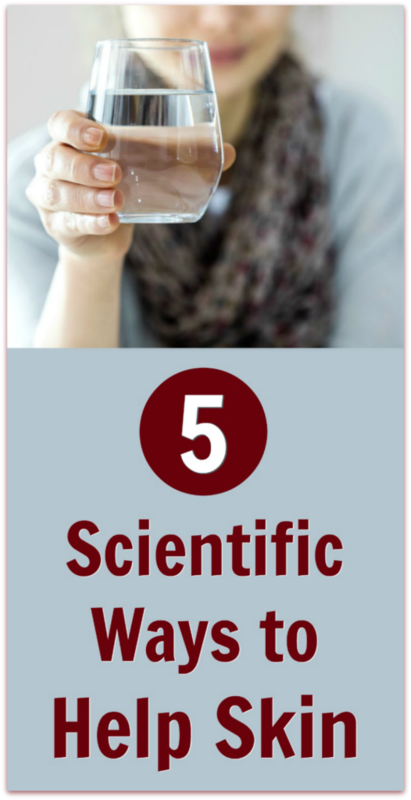 Here are five methods to improve skin texture that will help you to appear more youthful. To access further scientific research on these methods, see the Additional Sources listed below this article. While I honor my own silver hair and wrinkles – hey, I figure I earned them and I don’t mind looking mature – I also must admit that it’s important to me that my outer appearance align with how I feel on the inside. If I’m feeling energized and strong on a particular day, I want to see energized and strong when I look in the mirror. Of course, genetics play a role in how the skin appears, and that is beyond my control. Aside from genetics, though, there are five lifestyle habits that help form the foundation of robust health and are the reason some people present as 10 years younger than their biological age. Those lifestyle habits are within my control. There are helpful genes and unhelpful genes. Though we can’t control the genetics that we were given by our parents, our lifestyle habits can help determine what genes turn on or off within our bodies, and that is up to each of us individually. This is very good news! For example, how much water you drink is entirely up to you. Mostly everyone thinks they drink more water than they actually do. The amount of water you drink can determine the texture and elasticity of your skin tissue. Conduct your own personal experiment. Keep track of your average water intake, then resolve to drink one more glass per day than you have been. After a week, notice whether or not it has had a positive impact. Using sensitive “face mapping” techniques, researchers have been able to establish specific improvements in facial appearance as a result of better sleep. What one nightly ritual could you adopt that would help you to sleep better from now on? What I have found particularly helpful for me is to abstain from the consumption of dark chocolate and caffeine after 2 pm, without exception. Additionally, I sleep each night wearing earplugs and an eye mask, plus soundproof headphones (for when I sleep on my back, which I do twice during each night). This has helped me appear at my best the following morning. According to medical doctor Terry Wahls, as we evolved from single-cell organisms over millions of years the good bacteria that lived in our gut evolved with us. This relationship between humans and good bacteria has been a mutually beneficial relationship – our very lives depend on it. However, it has only been within a tiny blip of recent human history that we began trying to feed these bacteria industrialized foods. And that’s not working so good. A primal-inspired diet that honors the best aspects of our ancestors – from a time before agriculture and industry – can do wonders for our cellular health, including the health of our skin cells. Scientists who biopsy skin samples from large groups of volunteers have been able to establish that regular physical activity can reverse aging – even in people who start exercising later in life. Conduct your own personal experiment. Keep track of your average activity level, then resolve to do one more workout per week than you have been. After three months, notice whether or not it has had a positive impact on the appearance of your face. If I feel tired, then I don’t mind looking tired. I figure congruency is healthy. However, if I feel fit and energized, and I look in the mirror and see fatigue, then that tells me it’s time to turn up the dial on my grooming regimen. The good news is, that a good grooming regimen can make all the difference. Careful exfoliating, masking, and – especially for men – learning how to shave properly, can take years off your face. Yes, sunscreen can be a good idea. But a little naturally occurring vitamin-D is also a good thing. So, controversially, I do use sunscreen all over – including my scalp and inside my ears – but I like to keep the factor at 15-block, and I like the ingredients to be as natural as possible (some sunscreens are so synthetic that I worry about their toxicity; I’ve developed a sensitivity to some of the harsher brands). Washing your face (or using an astringent) before sleep each night also makes a positive difference on skin texture, as does using quality moisturizers. 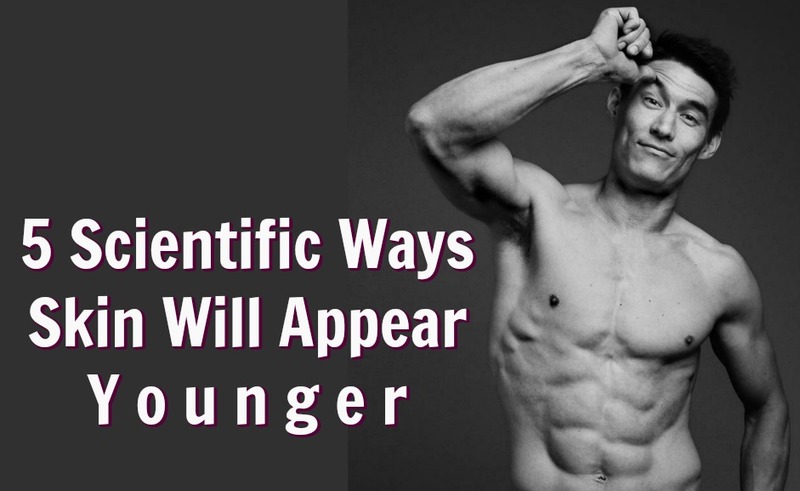 Is Your Appearance Younger or Older than How You Feel on the Inside? Recently on Dr Oz – the US television talk show about becoming healthier – Doctor Oz interviewed a guest expert who had conducted a campaign to find out whether people who thought they looked old were also perceived as old by others. The Dr. Oz experts organized a huge poll – via the online social networking channels – to determine particular people’s perceived age. On the show, one woman shared her story from the experiment. Her perceived age turned out to be, on average, about 53 – nine years older than her true age. Needless to say, this was devastating; but Doctor Oz had some intriguing solutions. Many people report having excellent results from using essential oils. Essential oils not only nourish, moisturize and restore the skin, they also reduce stress levels. What most people don’t realize is that stress can contribute to aging and skin damage as much as poor nutrition and lack of exercise do. When is the last time you upgraded your own grooming regimen? As with the rest of your body, your face will respond most favorably when all five of the above methods are employed to help you skin appear vibrant and youthful. In all likelihood, your missing ingredient up until now has been consistent inspiration. You’re going to need weekly motivation in order to take your wellness, health and happiness up to the next level permanently. Healthy skin is an important part of overall wellness for people over the age of 50. Simple methods can be used to help skin look much better and be healthier. Great skin improves your confidence and helps you be healthier for those you love. Most people don’t think of their skin as an organ but it actually plays a significant role in the elimination of toxins. The big idea with skin is to help it (not hinder it), with its extremely important objective of the easy elimination of waste from your body. If you improve the ability of your pores to eliminate, not only will your skin look much better but your entire system will be healthier. 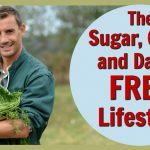 This article is written by Dane Findley with Jim Harris ~ Jim is a Nutritional Consultant and graduate from the American Naturopathic Medical Institute who recognizes that our bodies have the innate capacity for self-healing — especially when the correct information and energy is supplied in combination with the correct food, supplements, and herbs. The pores must remain open for the skin to effectively function as an organ. Having clean, open pores helps your skin look better. Bathing in salts can be beneficial. We need to shed dry skin on a daily basis and not clog up the pores with creams that have synthetic ingredients or potions that are laden with petrochemicals. The pharmaceutical industry makes transdermal patches for estrogen and smoking-cessation products because the skin transports them into the body. With this in mind, my wife and I have a rule that we will not put anything on our skin that we wouldn’t eat because whatever we put on our skin is being absorbed internally. For example, sodium lauryl sulfate is an emulsifier in many skin creams that could have all kinds of possible health risks as it is absorbed into the body. Eat ten servings of fruit and vegetables (well, mostly vegetables) each day – this provides fiber for healthy bowel elimination as well as antioxidants to scavenge for skin-damaging free radicals. When your face is fresh and healthy, you look energized at work. On the other hand, when you look like you’re having a mild allergic reaction to something you ate, then you also look drained, tired and older than your years. Remember, inflammation is bodily tissue reacting to irritation, usually because of the day’s diet. Can green smoothies help your body get leaner and your skin look younger? Discover the powerful and transforming effects of freshly made green smoothies. Drink ½ your body weight in ounces of water daily. A 140-pound person should drink 70 ounces of toxin-free water each day. We need exercise and to perspire in order to flush the toxins from our lymph system. Dry skin brushing involves using a dry brush daily before showering to stimulate the lymph system and remove excess skin cells. You’ll see your skin look better after even just one dry brushing! Oil your skin from the inside – add healthy dietary oils to the diet like coconut oil, avocado oil, and olive oil as well as a balance of the essential fatty acids. Supplement with quality food-based multivitamins because our bodies need the trace minerals for optimal nutrition and to rid the body of toxins. Epsom salts and baking soda baths can be a great way to open skin pores and allow metabolic acids to leave the body and rehydrate the skin. We humans get ourselves into ruts. For example, just try to get a man to shave his face differently (most do it incorrectly). It’s very hard for a fellow to shave in a new way when he’s been doing it the same way his whole adult life. How important is improved skin and health to you? Important enough to modify your existing regimen? I often say that one of the challenges of aging is that each year our daily grooming regimen takes longer than the year before (remember when you were 19 and could just roll out of bed in the morning without a care in the world or a concern for your skin? Hah!). This is just part of the natural seasons of life. Our own care and feeding must be more thoughtful the older we become. These skin-improving strategies seem like a lot of things to do but remember that these principals are also reducing the risk for diseases. Optimal internal health will manifest itself with a robust and healthy skin glow, helping you to look energized and taking years off your appearance.